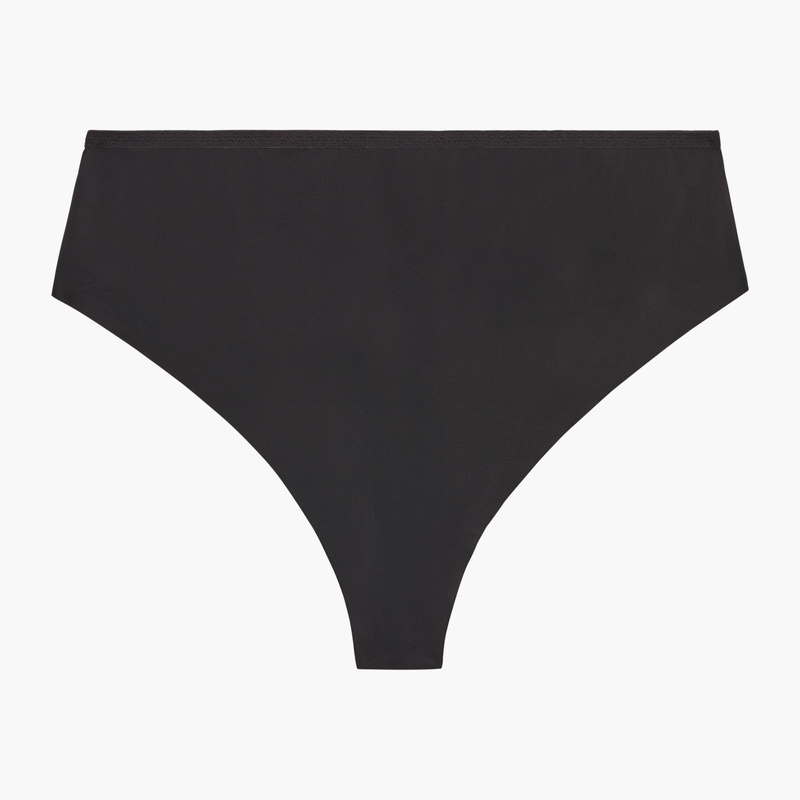 This thong is made from seriously soft microfiber, featuring a comfortable high-waist with a seamless edge. I wear an 18/20 and bought a 2x and love it! I've worn thongs for years but I carry my weight in my stomach so they're always too low and don't cover my stomach. These are perfect! They're no show, the fabric feels so nice and they come up high enough that I don't have to worry about them rolling down all day. I would go a size down on these as they stretch. Mine are too big now but they are really high waisted which is great! love it, so comfortable loving how it feels like you dont have any undies on ..